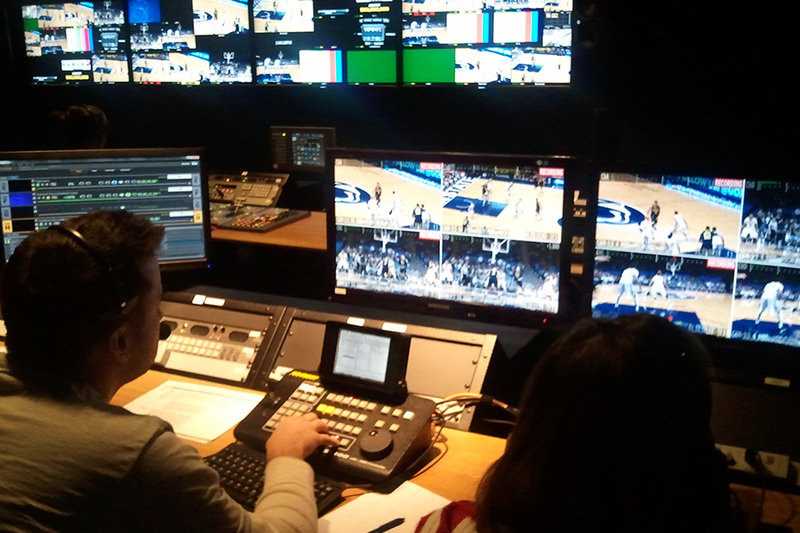 At Penn State, Director of Broadcast Operations Jim Nachtman sees room for improvement at every facility on campus. The Bryce Jordan Center, home to Nittany Lions basketball and built in 1996, received a new center-hung scoreboard in 2000 and LED ribbon displays in 2008. The center-hung scoreboard was replaced with a new one featuring four Mitsubishi Electric 10-mm Diamond Vision video screens measuring 12 x 16 ft., with a 16-mm halo both atop and underneath the structure. 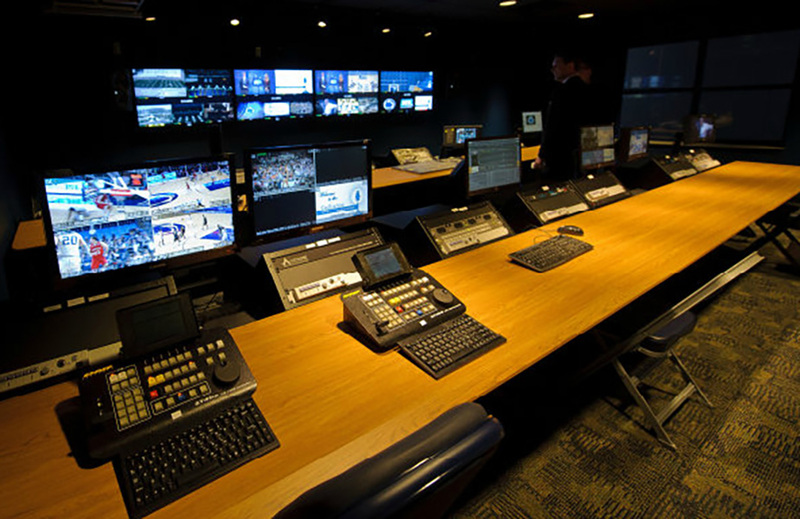 To supplement the new boards and courtside digital signage, Penn State renovated the control room in the Bryce Jordan Center and two control rooms in Recreation Hall, the oldest building on campus. 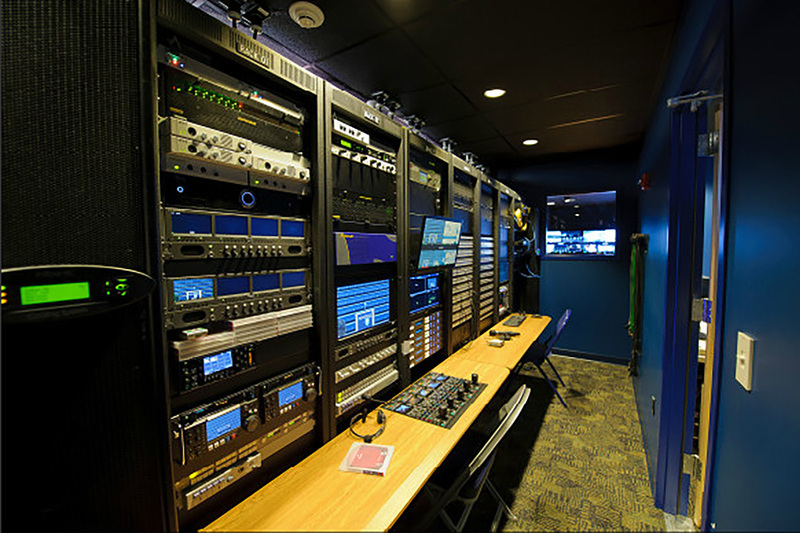 One of the control rooms in Rec Hall is going to take care of all the video operations for the building,” explained Nachtman. “We do expect to also control video-board operations in other venues like softball, baseball, and we’re building a new lacrosse stadium. The main purpose for the second control room is to duplicate what trucks do when they come in. Rec Hall — home to Penn State Men’s & Women’s Gymnastics, National Champion Men’s & National Champion Women’s Volleyball, Men’s and Women’s Soccer, and Men’s Wrestling — has limited parking availability. 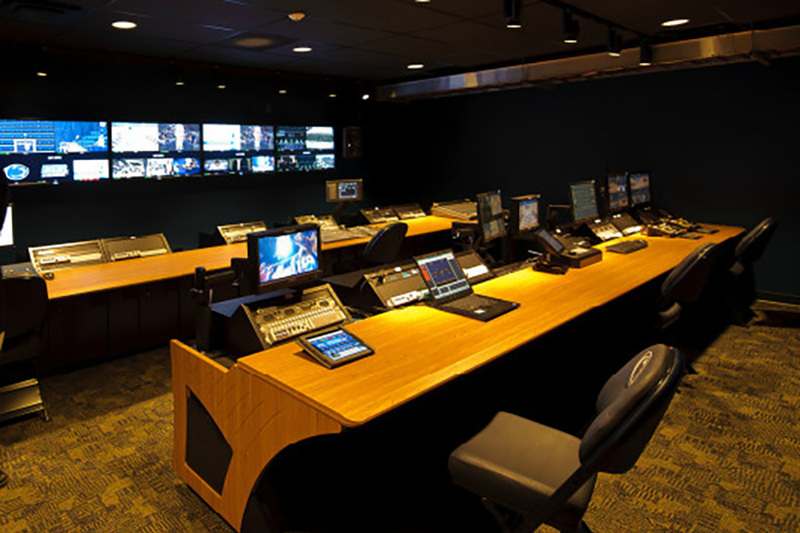 Rather than turn trucks away, Nachtman and his team opted to create a space that could be used by the Big Ten network and other visiting broadcasters. As networks become more and more hungry for content Penn State a great avenue to say, ‘We have the facilities and space ready to go. We can produce content for you and provide it to the network while highlighting and promoting our own sports programs.- Jeff Volk, Alpha Video Sports.